DAYTONA, FL -- Matt 'Megatoad' Stonie is the best at bacon. He just gobbled down six pounds of bacon in five minutes. Stonie says chomped his way through 182 Slices of Smithfield Brand Bacon before the Daytona 500 on Sunday to win the title and set a new bacon eating world record. The Huffington Post estimates Stonie consumed more than 28,000 milligrams of sodium. The American Medical Association recommends that people take in no more than 2,300 milligrams of sodium per day. "The bacon was cooked just the way I like it -- a little crispy because I don't like having to chew it," Stonie told The Huffington Post. "I don't feel that bad. I'm used to 10 or 12 minute contests, where I'm eating 10 or 15 pounds of food. I came into this prepared." What some people may think as an impossible feat, Stonie saw it as a challenge. 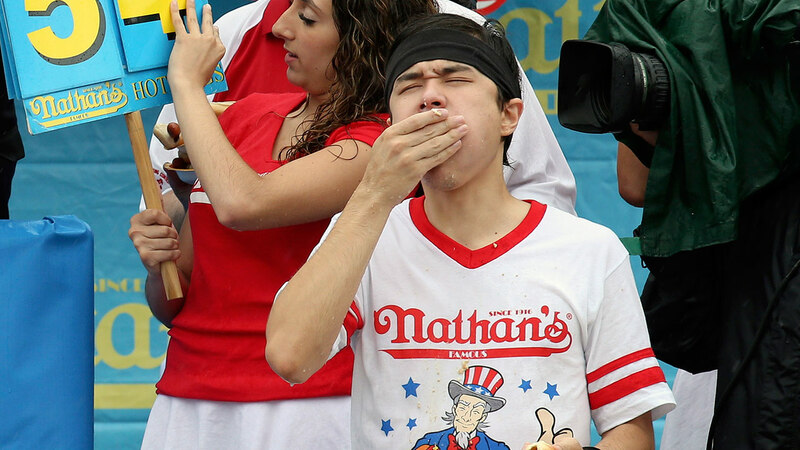 He is still second to Joey "The Jaws" Chesnut for the amount of eating contests he has won, including the 2014 Nathan's Hot Dog Eating Contest where Chestnut beat Stonie by eating 61 hot dogs to Stonie's 56.